Formerly, Mexico was occupied by an ancient civilization known for its advanced writing material: the Mayans. Today they are gone, but this people left many vestiges testifying to their time and experiences in this country. Let’s discover the Mayan culture. In Yucatan-a peninsula that forms a Mexican state-there is a city once inhabited by the Mayans. It is called Uxmal. The name of this town is translated into French as “built three times.” The researchers did find, during their excavations, that the stones used to build the buildings were elaborately carved. Therefore, the use of plaster was not necessary to attach the pieces together. Aside from that, during your expedition, you will notice that its architectural style seems inspired by the Puuc, northwest of Yucatan. The main works that make up this ancient site are the Pyramid of the Magician, the Nunnery Quadrangle, the Governor’s Palace and the House of the Turtles. Between the Nunnery and the Governor’s Palace is a huge field for the ball game that you might remember from a scene in the animated film “The Road to El Dorado.” This area is surrounded by two walls which have installed rings. The purpose of this ancestral sport is to get the rubber ball inside with a hip shot. Chichenitza is one of the curiosities attracting more visitors to Mexico. This site is a hundred kilometers away from Uxumal and it is possible to get there through two different routes. To select your route, it is advisable to visit a a travel forum and seek advice from other explorers who have already used these roads. Once there, you’ll get to admire this magnificent Mayan ancient city. This site is now classified as a World Heritage of UNESCO. In its time the city once had a treasure coveted by surrounding people: water. Chichenitza has two cenotes (natural wells) allowing locals to survive in these nearly dry lands. The city is divided into two parts. To the south, you can browse the “Old Chichen” where you can find strangely similar constructions to those of Puuc. To the north, there is the “New Chichen” where buildings resemble those of central Mexico. 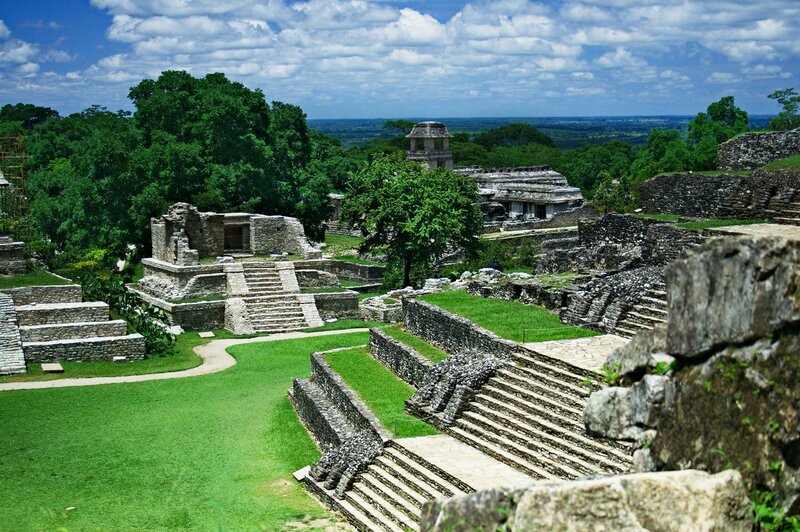 After Uxmal, Kabah is the second largest archaeological site in the Puuc region. This historic location is connected to Uxmal by a road measuring about 18 km long and 5 m wide. A huge arch is placed at its entrance. In the crossing, you will find yourself faced with secondary structures. However, venturing eastward, you will have the opportunity to admire the most famous building of Kabah, the “Palace of Masks” and other impressive buildings. According to archaeologists, these monuments have been erected to the seventh century and the city was inhabited in the classical Post. This small city-only 3 km wide-is dotted with pyramids, palaces, and a few stone buildings. By visiting this place, you will notice that some ruins have almost merged with the local greenery. An expedition to the Yucatán is an excellent idea for fans of pre-hispanic history who want to discover more about the Mayan people.